CloudFone has just announced and released CloudFone Excite 450Q in the Philippines. This Quad Core smartphone will certainly be a hit breaker on its line up. 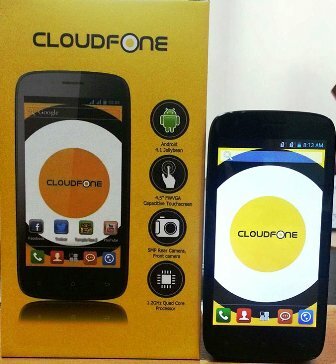 Focusing on budget aware prospects, CloudFone Excite 450Q will be "the most affordable quad core smartphone" as of today. Worry not about its specs, since we are going to share its later. Feature packed smartphone that brings fast and smooth app launching and app switching, thanks to 1.2GHz quad-core Qualcomm MSM8225Q processor, Excite 450Q is not only fast, but also long lasting, been hearing things about CloudFone, and believe me, they have good customer support and durable devices. Running on the Android 4.1 Jelly Bean, app compatibility will not be an issue. Download and save app as much as you like on its 4GB of internal storage, plus additional 32GB micro SD support giving so much storage for videos, photos, and games. Giving a so-so results on its camera, this 5MP camera is almost enough to give clear and sharp images. The fact that 13MP camera will yield not much improvement versus 5MP, simple logic, the higher the pixel will result to large images, but same quality. For Php4,999 (Most affordable Quad Core smartphone) | Available now in the Philippines nationwide, on CloudFone Kiosk, and Stores. 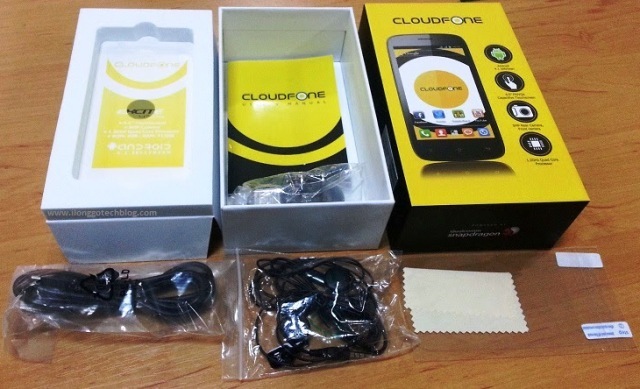 What's in the Box of CloudFone Excite 450Q?